It’s been a while since I have created anything raw and I’m currently a little obsessed with peanut butter. Peanut butter is great and there are so many ways you can include it in your meals or treats. Some even smear it over celery and carrots (I’m yet to try that). And in comparison to natural maple syrups or honey, natural peanut butter is very affordable and accessible from your local grocery store. You know those days where you grab a bunch of ingredients that are left in the pantry and wiz up something incredible? That is how this yummy recipe was created. 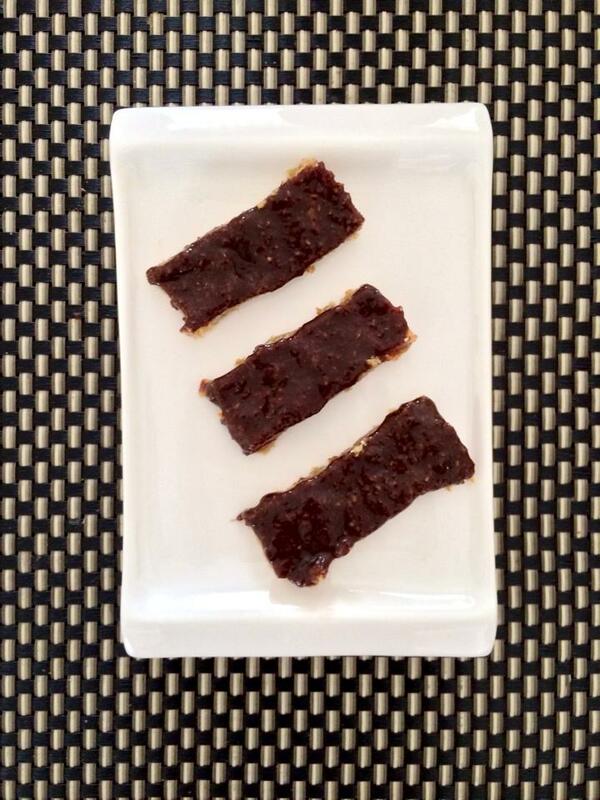 I initially wanted to make a peanut butter slice with a nut base; however the peanut butter processed thoroughly with coconut and dates created a wonderful thick texture – perfect for a snack bar. 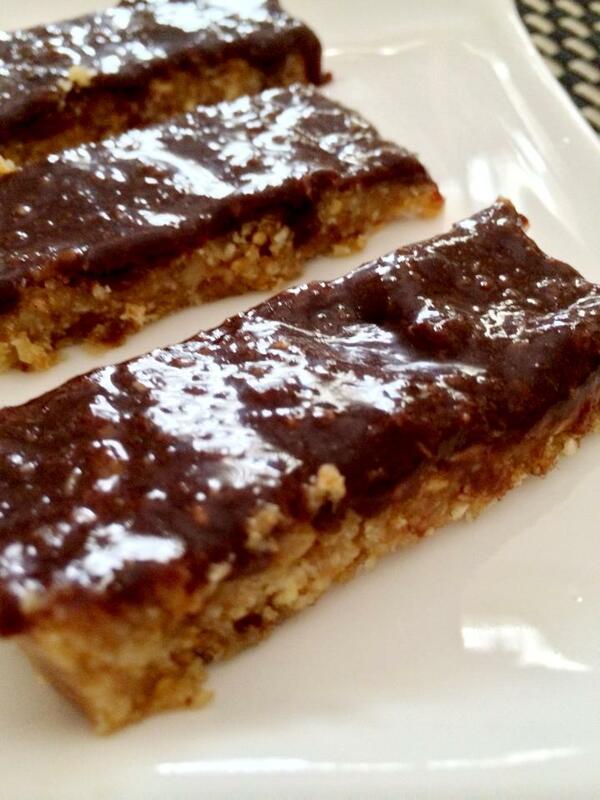 Peanut butter lovers: you will be very happy chaps with this recipe! PS. 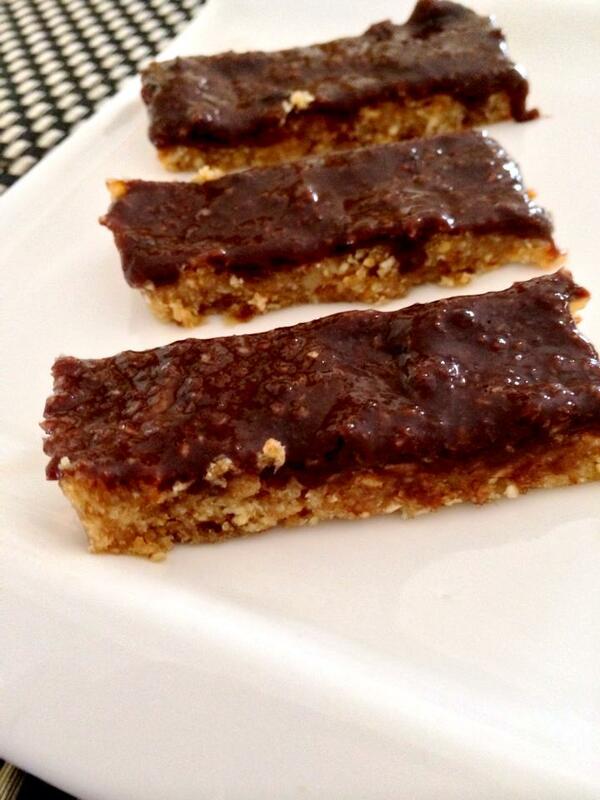 This recipe makes around 12 bars! Process walnuts until fine and then add dates. Add remaining ingredients and process thoroughly until mixture sticks together. Spray a small baking pan with baking spray and place mixture in evenly using your hands. If mixture is sticky run your hands over hot water and place in the freezer while you prepare chocolate topping. Process coconut and dates until dates are very fine. Add remaining ingredients and process until coconut is not visible in the mixture. Pour over the peanut butter base evenly and pop in the freezer for 2-3 hours. Enjoy! Hi stylishmumma! The desserts are high in fat, however they are all healthy fats! 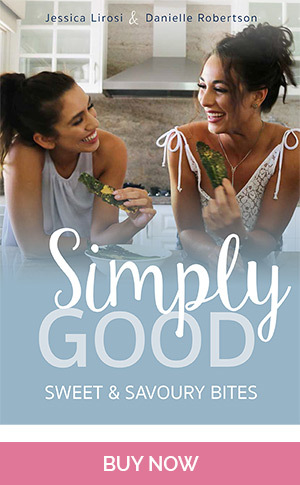 If you have a sweet tooth – refined sugar is probably the culprit for the weight gain, however it is always important to have everything in moderation including my healthy desserts. In saying that, it is much better for you to eat these clean desserts than ones filled with butters and sugars! Hope that helps.